The firm of William Cadenhead Limited, Wine and Spirit Merchants, was founded in 1842 and was in the ownership of the same family until it was taken over by the well known Campbeltown firm of J & A Mitchell & Co. Ltd who own Springbank Distillery. The premises were in Netherkirkgate in Aberdeen and although the street numbers were changed from time to time the premises were the same and indeed were almost unaltered during their 130 years of trading in Aberdeen. A Vintner… a Poet… and a Thread Merchant!? It was at what subsequently became number 47 that Mr. George Duncan established himself as a Vinter and as a distillery agent. There business prospered and in a little over ten years he was joined by his brother-in-law Mr William Cadenhead. 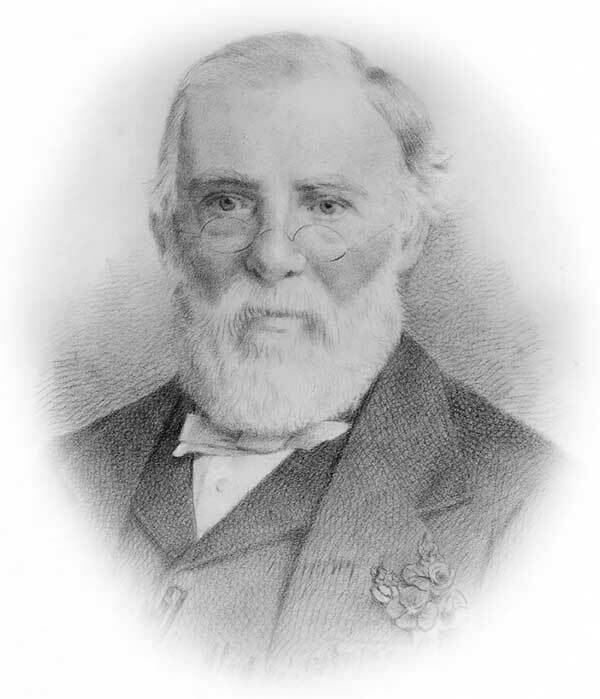 Cadenhead acquired the business in 1858 and, as was common at the time, he changed the trading name to that of his own. While not a lot is known about Duncan, there is a great deal more on the record about Mr William Cadenhead. Not because of his distinction as a vintner but because he was, throughout the Victorian era, a local poet of renown. Cadenhead, the son of a veneer sawyer, was born in 1819. He began work at an early age in a small thread factory belonging to a well-known citizen called “Jonny” Garrow. Garrow thought so highly of young Cadenhead that when he gave up the business in Aberdeen to join a firm in Liverpool he arranged for Cadenhead to join him there. When Cadenhead later returned to Aberdeen he became an overseer in the yarn sorting department of Maberley & Co. at their Broadford works. During, approximately, the year 1853, he left there to join his brother-in-law and was a traveller for the business until 1858. Apart from his prodigious output as a poet, he became a leading citizen, taking part in all aspects of local affairs during his long and successful life. 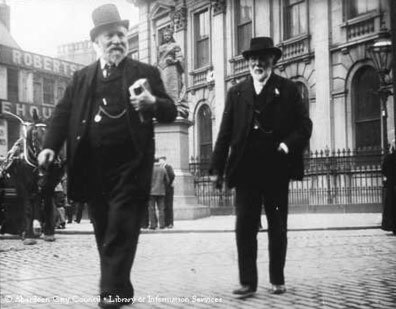 William Cadenhead Pictured here with William Carnegie (on the left). Early in the morning of Sunday 11th December 1904, William Cadenhead passed away. 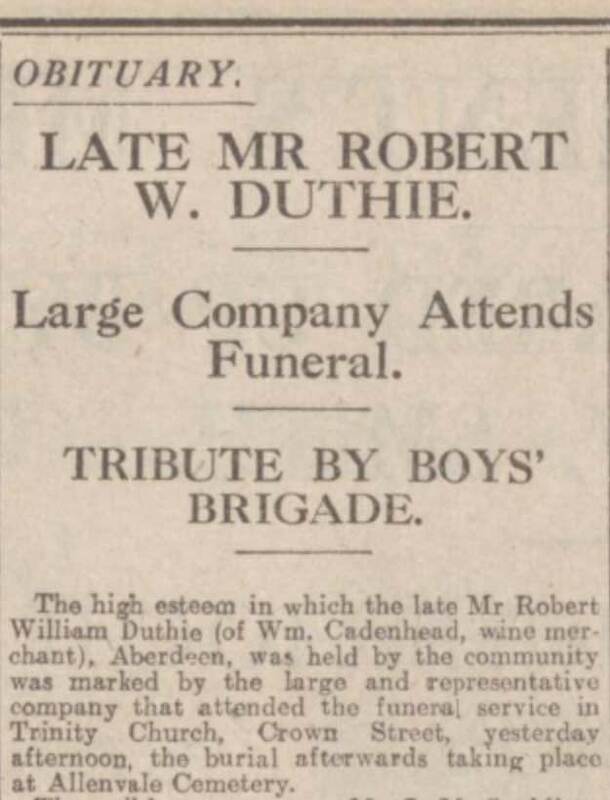 He was succeeded in the business of Wine and Spirit Merchants at 47 Netherkirkgate by his nephew Robert W. Duthie, son of Robert Duthie – Superintendent of the Scottish Orphanage in Bombay. He developed what the firm was most famous for, namely single malt Scotch Whisky and Demerara Rum. He advertised his products extensively on the back of buses, theatre curtains, concert programmes and in much else using the slogan, “By test the Best.” In addition, Mr Duthie developed Cadenhead’s brand whiskies, the deluxe blend Putachieside and with the more plebeian name The Heilanman. In 1931, in the depth of the depression, the business of William Cadenhead was not in good financial health. As such, Mr Duthie was on his way to a meeting with his bank manager when he was unfortunately run over by a tram car while attempting to cross the road. Duthie was a bachelor but left two sisters; neither of them, though, knew anything about the Wine and Spirit trade. They were determined the name of William Cadenhead should survive so placed long-term employee Miss Ann Oliver in charge of the business. Ann Oliver ran the business in her own style and stubbornly refused to move with the times. For several years, this approach proved prosperous. However, in the early 1960s things began to get worse as the administration side of the business was poorly adhered to and several ill-advised business decisions were made. Eventually, Miss Oliver was prevailed upon by the Trustees to retire and sell the business. The warehouse and number 47 Netherkirkgate was full from the cellar to the roof with stock but nobody knew how much any of it was worth. In the end, Christie’s, who had liquidated considerable stocks of rum, were contacted. The result was a two-day sale of the entire stock. The catalogue extended to 167 pages and was, to that date, the largest sale of wines and spirits held in Great Britain. The sale took place in London on 3rd and 4th of October 1972 and resulted in a six-figure surplus over liabilities for the firm. 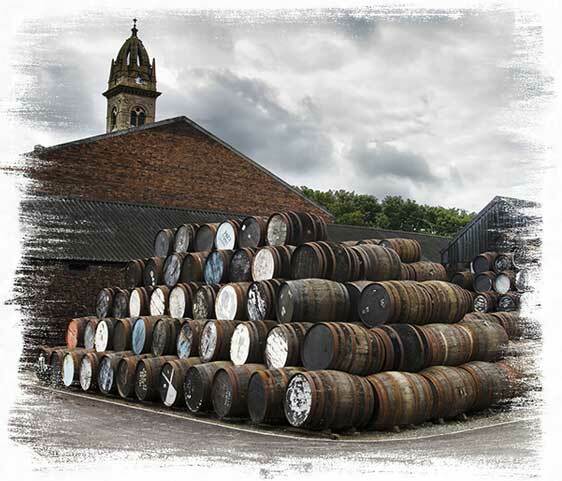 Thereafter the goodwill, premises etc of the firm of William Cadenhead were sold to J & A Mitchell & Co Ltd, the proprietors of Springbank Distillery and the company’s modern era began. Intriguingly, in the early 70s there was a shortage of glass bottles so buying what was left of the Cadenhead business was seen by J& A Mitchell owner, Mr Hedley Wright, as a way of getting some more. 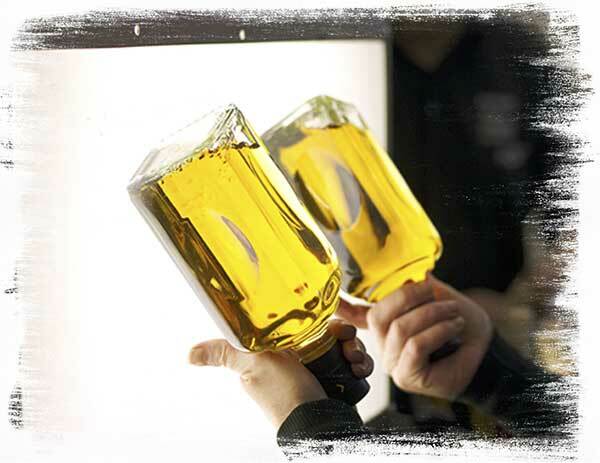 After the auction Cadenhead’s became a part of J & A Mitchell but the glass bottles were never received – we never did find out what happened to them. In addition to the Cadenhead’s shop in Campbeltown, there are now shops in Edinburgh, London and several on continental Europe. 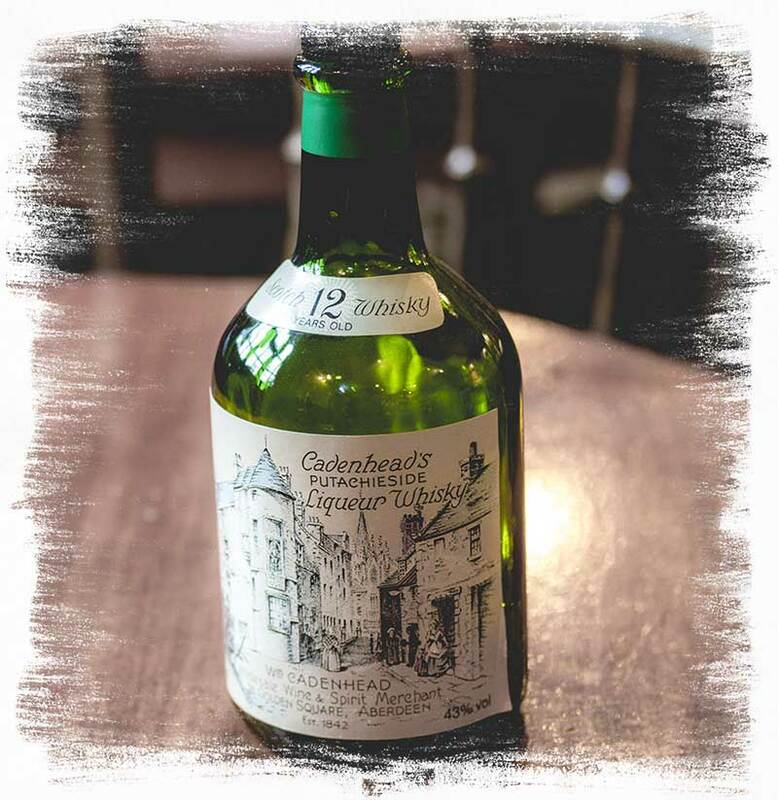 Cadenhead’s is now a household name in the whisky world and the present owners have expanded the Cadenhead business whilst still keeping the goals and traditional ethos the firm began with back in 1842. More than 175 years have now passed since then and the company continues to progress. 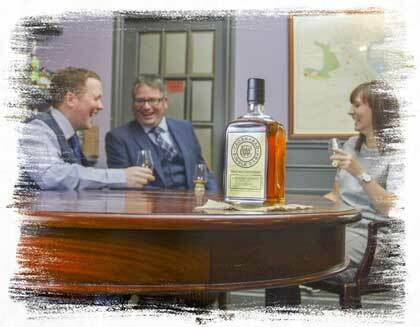 Every year we have tastings and whisky events all over the world, come see our events listings.